I’m mixing things up a bit this week, and instead of writing about one particular beer I’m going to do a chocolate special purely because it’s Easter weekend. I did a ‘crisp special’ last year, so I think chocolate deserves a turn on Something for the Weekend. In the course of writing this column, I thought I might see if there was any particular connection between beer and chocolate, because let’s face it, both make us happy. It turns out there is: cacao trees produce large pods full of beans. These beans are fermented, dried, and then refined to make chocolate. How is beer made? It’s fermented. In 2007 archaeologists suggested that chocolate may have originally been a by-product of brewing beer as brewers were using cacao pods as brewing vessels. Bingo, link made. So if I’ve got my sums right here, if you pair chocolate with the right beer, you’ve got a double happy person, right? Which brings me onto a group I’m involved in called Dea Latis, whose mission it is to get more women interested in, and engaged, with beer (Dea Latis was the Celtic goddess of beer and water). 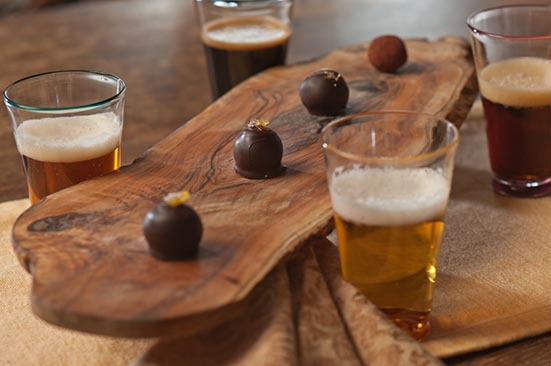 One of the most successful events we run every year is our annual beer and chocolate tasting. For one of these events I volunteered to sample the chocolates in Charbonnel and Walker to make sure we had the right flavours to go with the beer (look, it had to be done). I’m ashamed to say I made the sampling session last all afternoon and I asked the chocolatier if he would consider adopting me. Without wanting to sound remotely sexist in any way, just mention chocolate to most women and they will start salivating. There have been numerous scientific studies about why chocolate has such a strong resonance with women, and the impact it has on the female brain, but I’m not qualified with the science of it. I just know that there’s some kind of ‘cheerful’ trigger associated with chocolate which is particularly prevalent in many women. 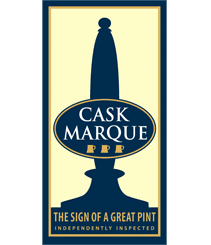 So, forgive me if I edge slightly away from cask ale in this column but I want to share some of my most mouth watering beer and chocolate combinations. Kriek (cherry beer), or Meantime Raspberry Wheat beer with a block of dark chocolate is Black Forest Gateau re-invented; Blue Moon Wit Bier with a sliver of Terry’s Chocolate Orange is quirky, unusual and heaven. The award winning Saltaire Triple Chocoholic Stout works well with good quality white chocolate and Marston’s Old Empire is lovely with a bar of Fry’s Turkish Delight. Most stouts are a great match for good old Dairy Milk, but my particular favourite is Young’s London Stout because of its creamy taste. You might think I’m making all this up, but as I say to so many people when I’m doing beer and food pairings: try it. If you don’t like it, it’s not that you’re wrong, it’s just that it doesn’t suit your palate. Try something else.